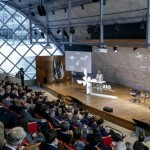 The 6th Annual Private Equity Brazil Forum, organized by Latin Markets, is South America’s largest international private markets investment conference. The forum brings together 600+ investors, funds, and advisors for a two day meeting discussing sectors, due diligence, and private equity investment opportunities in Brazil and around the world. The investor focused event provides a due diligence opportunity for international and South American pension funds, foundations, endowments, fund of funds, family offices, wealth managers, consultants, and sovereign wealth funds interested in direct research on private investment opportunities. Keynote discussions led by government & economic leaders, prioviding insight on how political and macroeconomic change affects your business. Latin Markets is the world’s leading provider of Latin American focused investment forums, regional summits, and streamlines market intelligence. Our platform provides a comprehensive and fascinating perspective of the opportunities in this diverse and booming region by focusing on high quality buy side events.